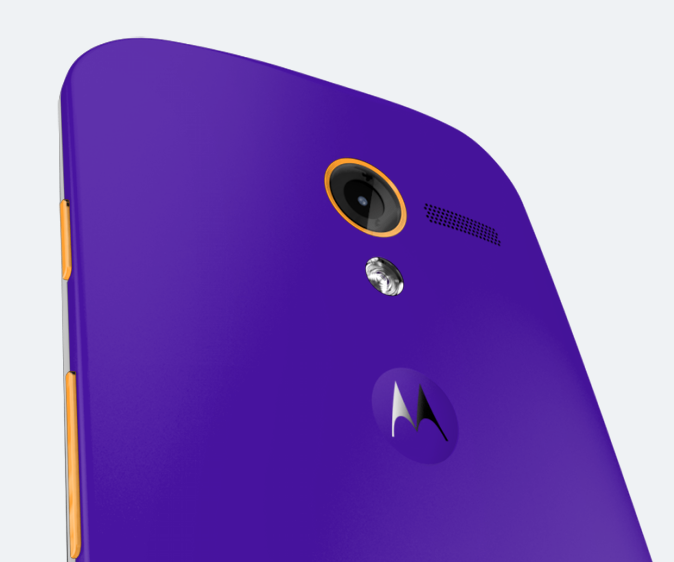 You can get a brand new, off-contract, custom-built Moto X for the cost of one penny. Yeah you read that correctly. According to Motorola’s site this deal steal starts on June 9, 2014 which is this Monday and you get to try the device out for a full two weeks before purchasing. It is only while supplies last so make sure you remember the date and get there early since I would assume plenty of people are going to try this out. Maybe they are trying to get rid of Moto X stock before the XPlus1 comes out? No idea. Not too sure what the fine print of this deal entails, but if you can try out a new phone for two weeks without any risks then you might as well jump on this opportunity. I know I am going to try. I’ll keep you up to date with the info. Got my sweet purple, orange and white Moto X all ready to go. See you all on Monday! Tip: if you really want to try and get ahead of the curve, customize your dream Moto X right now and save it to your profile so all you have to do on Monday is log-in and buy. UPDATE: Tim over at Droid Life found the FAQ about the “Try Then Buy” offer. Here is the breakdown of how to get your Moto X. If you’re East Coast get online at 12:00 a.m June 9th. If you’re West Coast get online at 9:00 p.m.
Go to Motorola.com and register for a promo code. Promo codes are in limited supply so get them when they’re hot. After registering, your code will be emailed to you. It can/will expire so use it immediately. Go to Moto Maker and customize your Moto X. IMPORTANT: Choose the no-contract version of the Moto X. Yes it will be the most expensive option, but don’t worry. Finish with adding the promo code you were emailed at the checkout. Enjoy your penny phone for two weeks to play with. Few details in the fine print. This will work for Verizon, AT&T, Sprint, T-Mobile, and Republic Wireless. Your current SIM card will work just fine. No upgrade fees apply! As long as you start the return process on the 14th day, your credit card will not be charged the full retail price. If you do return it, Motorola will pay for return shipping. If you keep it, your credit card will be charged the full retail price. One Moto X per household address. So don’t think you’ll register with 5 different emails and sell them off on eBay. Why I’m going to try it. I honestly haven’t played with the Moto X enough outside of the Verizon store. I’d like to actually review it and see what Motorola has to offer. If I like it then I’m returning it to hold out for the Moto XPlus1. Maybe that is their intention with this. Or maybe they want to try and get some easy money from people. Who knows. Let me know what you think in the Disqus comments below!